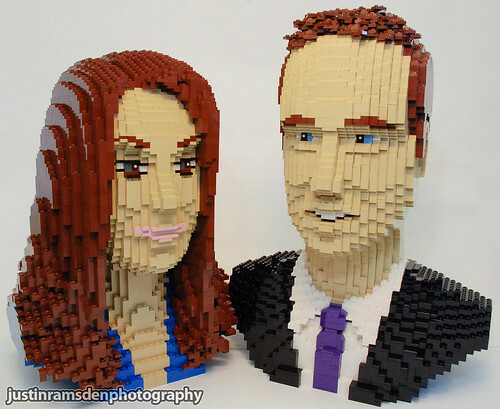 Tomorrow is a big wedding if you haven’t notice, and to celebrate the royal wedding, here are some LEGO MOCs that focus on the soon-to-be- royal couple and the setting for the wedding. The first in our little feature is a very impressive build from the LEGO folks themselves. 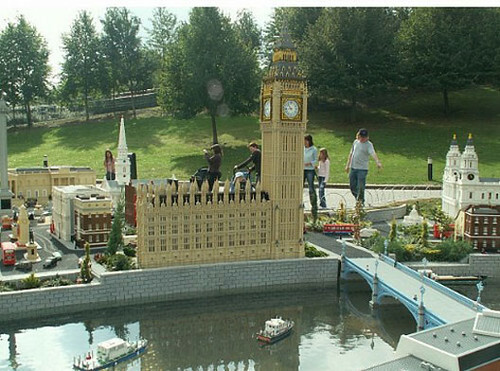 LEGOLAND Windsor. I’m not going to post any pictures, as I’m not sure of the copyright issues and who the original holders are, but the Daily Mail and Geek Sugar both have photos of the royal wedding diorama at LEGOLAND Windsor. The Manchester Evening News was one of the first to get a look at it, and report that 180,000 bricks went into its creation, along with 400 LEGO figures. Note that these are not the normal LEGO minifigures, but rather the LEGOLAND-scale figures, which are larger. Just in case you want to view a lot of close-ups, visit the full set at Justin’s Flickr page. And again, more links, but the BBC has some photos of a MOC put together by LEGO fans showcasing the wedding as well, this time in normal LEGO minifigure scale. The MOC is going to end up at the Museum of Science and Industry in Manchester. These photos were supposedly handed out by the LEGO press office, but I never saw where so I’m not going to risk it.